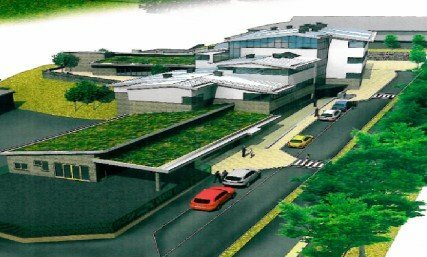 The school wanted to construct a new Sixth Form including nursery provision, multimedia conference centre, cafe bar, social lounge and career library along with a MUGA. Glovers were appointed pre-contract as Quantity Surveyor and worked with the design team to secure planning permission. There were a number of objections to the scheme in the local community and so a number of planning conditions had to be discharged to obtain consent. Glovers prepared a variety of cost options at feasibility stage which formed part of the application to the LSC. Funding was secured. Post-Contract Glovers acted as Employers Agent and CDM Co-ordinator. Glovers has worked with the team to deliver the project under budget and on time. The original budget for the project was £8.9M but with the value engineering exercises carried out and other savings made the projected final cost is £7.9M. Sustainability was a key element of this project and the new Sixth Form incorporates a large number of environmentally sound features including rainwater harvesting, green roof, mono passive ventilation system and a building management system.